Am I Seriously Going To Wear Cowboy Boots? I noticed cowboy boots aka western boots starting to pop up in fashion a couple months ago. 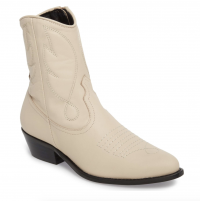 Of course my first thought was, “NOPE!” And after seeing more looks with western boots… I’m kind of digging it. This is one of those trends that’s still SUPER low key right now. 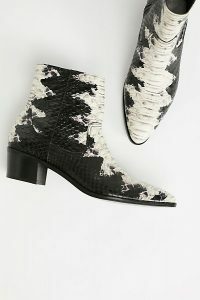 But a wise man Bruno Mars once said, “Don’t believe me just watch!” I’m telling you, western boots are making a come back. You will see them at Coachella and just generally this spring/summer. Maybe I’m a year ahead like I tend to be sometimes with trend alerts, but I promise you it’s a thing. My favorite way I’m seeing western boots worn right now is with dresses and denim. 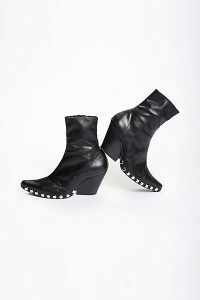 I don’t think I could pull these off with long jeans but I definitely think they’re fun with a spring dress. I could see myself incorporating them into some of my festival looks because I love big boots with short shorts. 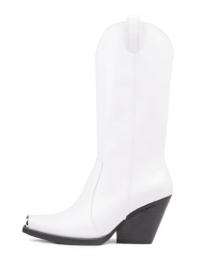 The word I’m gravitating towards is FUN, just simply something is so fun about these boots! Don’t worry, you don’t just have to be on a glamorous cowgirl vaycay to pull this look off. Western boots are already hitting the streets of LA with casual looks. I mean how cute are those looks?! RealisationPar has some of my favorite dress inspo for Spring in general and seeing their pieces with western boots has me swooning! So what do you think? Will this trend go viral or stay on Instagram? 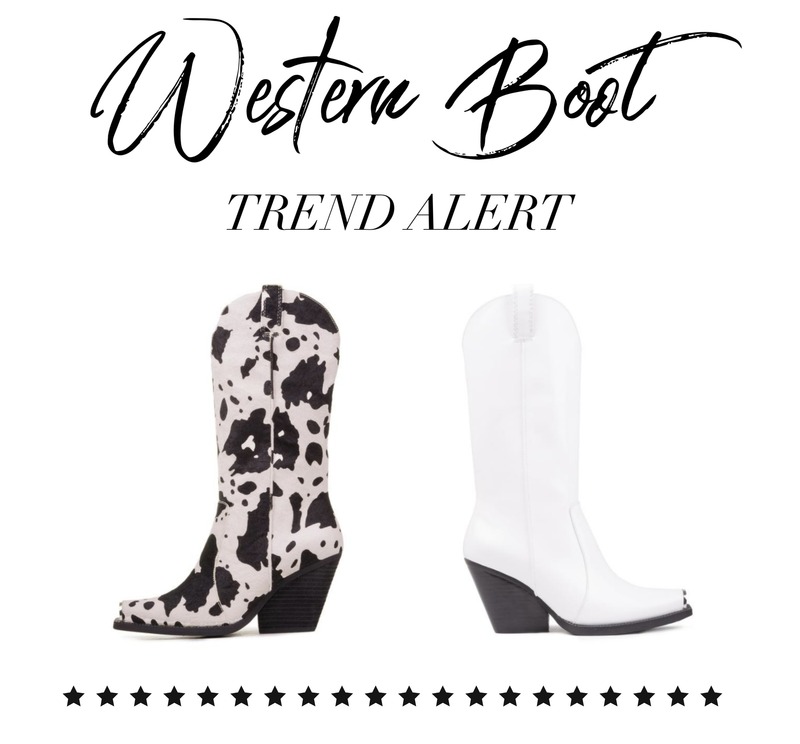 Would you rock a pair of western boots? 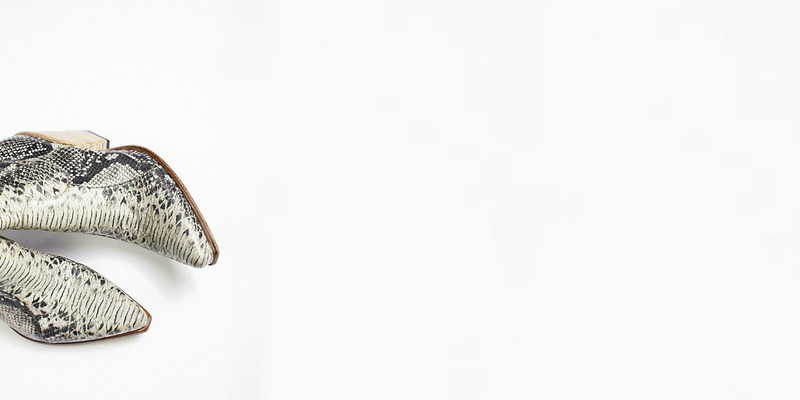 If you would, I rounded up a few of my favorites below that you can shop! I found some that aren’t TOO cowboy and some that say giddy up! Shop below! Let me know what you think of this trend in the comments below!! I’ve been seeing this trend since coachella last year, and im obsessed. Its definitelY a comeback and will kill the insta game at chella this year <3 cute post lo !! I honestly think this is going to be a cool trend! I’m from Texas so boots have pretty much always been a “trend” lol Girls ESPECIALLY wear them to special occasions with a cute sun dress or romper or on a night out with shorts and a cute top! I think it’d be cool for Cowboy boots to catch on as a trend somewhere other than the south!